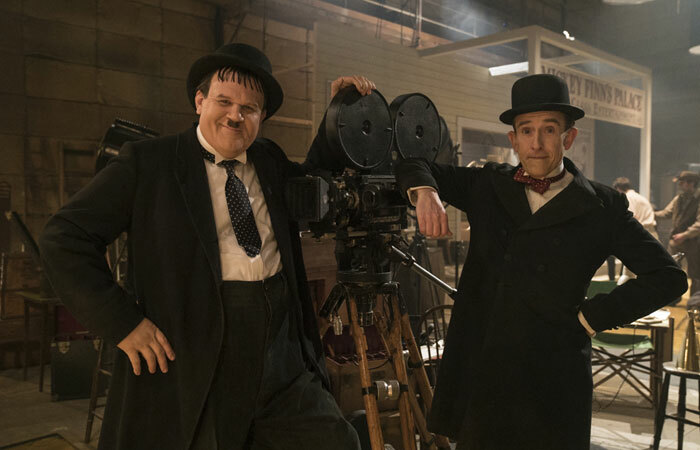 Stan & Ollie, starring Steve Coogan and John C. Reilly as the legendary duo Laurel & Hardy, will be coming to cinemas, 11 January 2019. The heart-warming story of what would become the pair’s triumphant farewell tour. With their golden era long behind them, the pair embark on a variety hall tour of Britain and Ireland. Despite the pressures of a hectic schedule, and with the support of their wives Lucille (Shirley Henderson) and Ida (Nina Arianda) – a formidable double act in their own right – the pair’s love of performing, as well as for each other, endures as they secure their place in the hearts of their adoring public.